This paragraph will demonstrate a simple application that running search on system objects, I created this app in 10 minutes so if you want to add your comments you more than welcome. 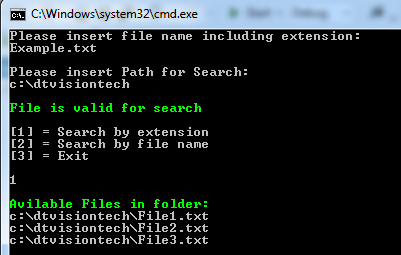 - Ability to search files via file extension. 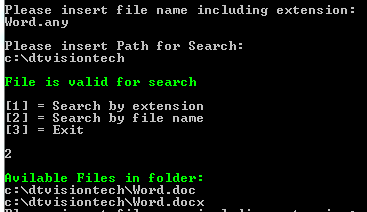 - Ability to search files via file name. - User file validator using the path class. - Try and Catch mechanism to handle the application failures. 0 = Validation Failed on File Name no need to validate folder location. 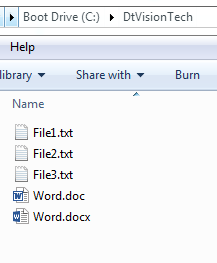 1 = Validation passed for file name but faied for path.